This morning's gluten-free, Dirty Mint Chocolate Chip ice cream was constructed by the team at Coolhaus (Culver City, CA) using California milk, fresh mint leaves, cane and brown sugar, dark chocolate chips and other ice cream ingredients and vegetable gums. 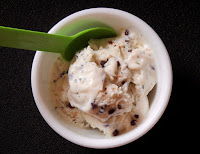 The mint leaves gave this creamy, premium ice cream a very natural, slightly herbal mint flavor, that was not too overpowering (thank you!). And the miniature chocolate chips imparted tiny bursts of dark chocolate flavor. 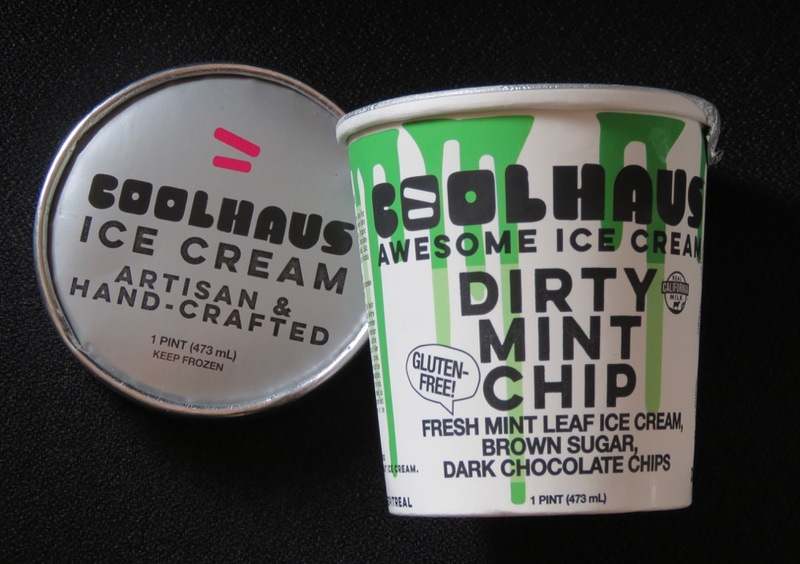 Coolhaus itself was created by two women, Natasha and Freya, who founded the company in 2008.